Bernd Trautmann, born in 1923 in Bremen, is captured by the British in WWII. During a football match between the prisoners, the goalkeeper is noticed by Jack Friar, manager of an amateur club. Forced upon the team, Trautmann soon surprises on and off the field. 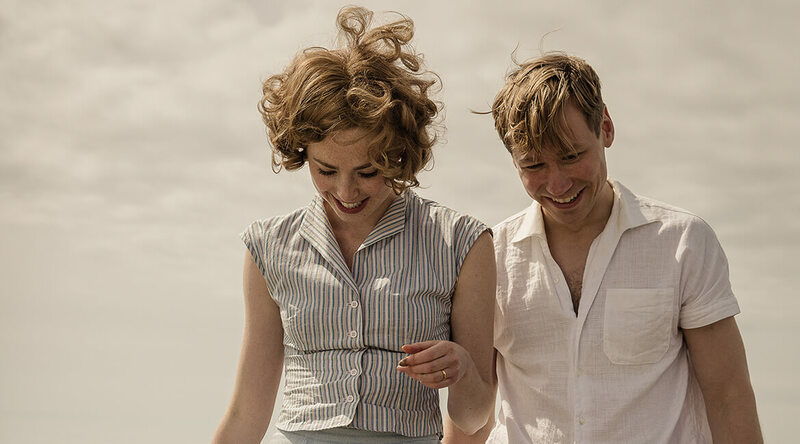 Prejudice subsides, friendships start to develop and Trautmann loses his heart not only to football but to his manager’s beautiful daughter Margaret. However, Trautmann could not have foreseen the wave of outrage resulting from his engagement at Man City FC. Thousands take to the streets against the signing of the “Nazi.” Feeling alienated and alone, Trautmann’s and Margaret’s loyalty to each other is being seriously put to the test. But they receive support from an unexpected direction: Rabbi Alexander Altmann, who fled the Nazis, publishes an open letter against the anti-German slogans. Trautmann’s path to acceptance begins and peaks at the 1956 FA Cup Final when he secures victory for Man City by playing on despite a broken neck. Yet fate twists the knife and Trautmann’s son is killed in a car accident. Heartbroken, Trautmann wants to give up. But a whole nation has learned to accept him, and so he starts to prepare for his comeback. For all those who learned to forgive, for those who had lost someone and most of all for his son, who admired him the most, he must step back onto the pitch. MARCUS H. ROSENMÜLLER was born in 1973 in Tegernsee and studied at the University of Television & Film in Munich. Also active in theater, a selection of his award-winning films includes: GRAVE DECISIONS (WER FRÜHER STIRBT IST LÄNGER TOT, 2006), HEAVYWEIGHTS (SCHWERE JUNGS, 2007), BEST TIMES (BESTE ZEIT, 2007), BESTE GEGEND (2008), RÄUBER KNEISSL (2008), LITTLE WHITE LIES (DIE PERLMUTTERFARBE, 2009), SUMMER IN ORANGE (SOMMER IN ORANGE, 2011), SOMMER DER GAUKLER (2011), WER’S GLAUBT WIRD SELIG (2012), BESTE CHANCE (2014), BRENNA TUATS SCHO LANG (doc, 2015), and TRAUTMANN (2018).